Mold is a natural fungus that plays an important role in our outdoor environment as it breaks down organic matter. Unfortunately, this same natural fungus can find its way into our living spaces. There are ways to identify the signs of mold in your home and prevent it from spreading, but you need to know what to look for and when to take action. Read on to learn what to look out for to keep your home a healthy and comfortable place to live. As mold eats through dead layers of organic matter, it produces a gaseous compound known as microbial volatile organic compound (MVOC). This gas can be odorless, but when it is combined with a certain amount of moisture, it tends to give off a musty smell. Combine this with products such as carpet, heating and cooling duct systems, inside walls, and under wallpaper that hides the mold and doesn’t give it enough air to dissipate, and it will only produce a more pungent odor as time passes. During the early stages of mold growth, you may see signs of it in small patches that appear to be harmless spots of dirt on the ceilings or walls. It may at first appear white and in a thread-like pattern. As it increases in size and density, it may begin to look like smaller clusters of black, green, and even grayish spots. Wallpaper mold takes on a different color because of the vinyl element in the product and will appear orange or purple when you peel it back to inspect it. Stains or discoloration: These can show up on the ceiling, floor, and walls in one area or in multiple areas as singular spots or a group of configurations all over. Mold could be growing somewhere beyond this layer or within it. Wall disfigurement: This issue with water will show up sometimes all at once as an obvious bubble or bulge in the ceiling. It can even start as a small fissure or crack in the wall at the top of the ceiling and then the wallpaper or paint may start peeling and cracking. If you suspect there may be water problems in an area that will lead to mold, touch the surface and see if it is damp. Water leaks in pipes or sinks: These types of water problems are usually hidden, and they can start in a duct, rusted pipe, or leaky sink and flow to other areas and very quickly create mold. Flooding Issues: This does not have to occur frequently for mold to grow. One major flood or storm where water enters the crawlspace or foundation is all it takes for mold to take root under loose tile floors, carpeting that isn’t removed but simply wet-vacuumed, or in items left to dry out on their own. The only way to relieve the health issues associated with mold is to remove the mold from your home. 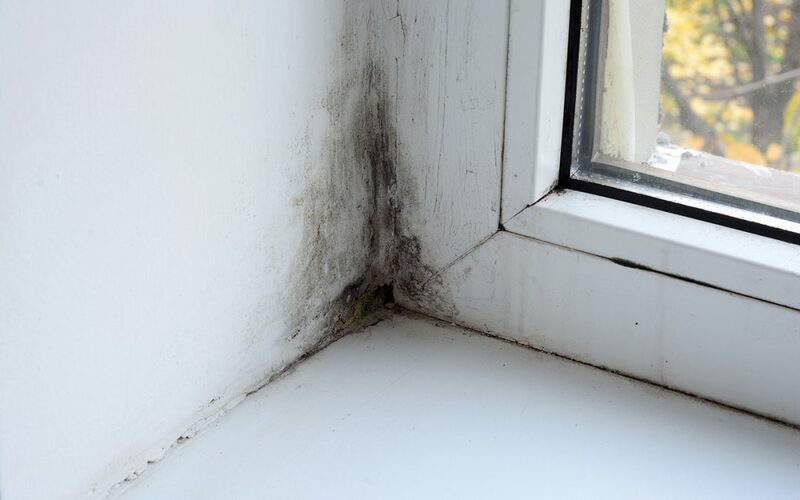 If you notice any of these signs of mold, the first step is hiring a home inspector to conduct a mold inspection. This will help you pinpoint the source of the problem and start a plan of action on how to rectify it. Top Notch Home Inspectors provides mold inspections and other home inspection services to Northeast Florida including Jacksonville and St. Augustine. Contact us to discuss how we can help you.